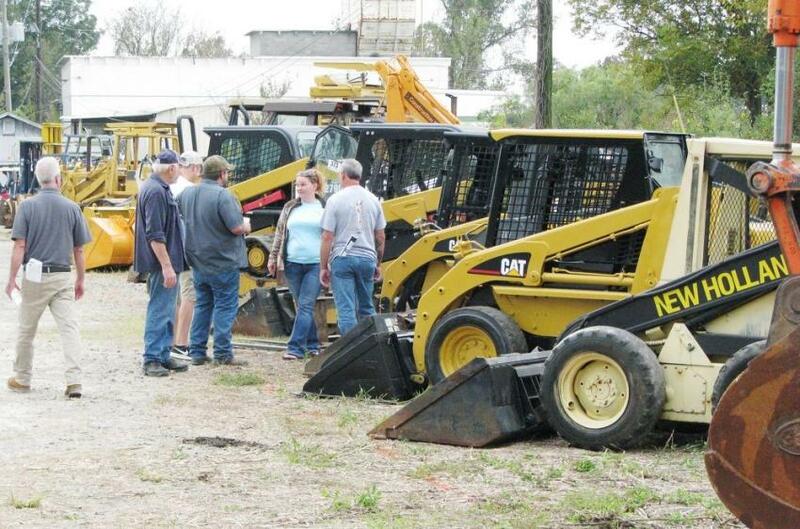 A terrific crowd turned out for the Jeff Martin Auctioneers sale in Augusta, Ga., on Oct. 20 to bid on a wide array of items from Bussey Construction, Melrose Farms and other consignors in the area. 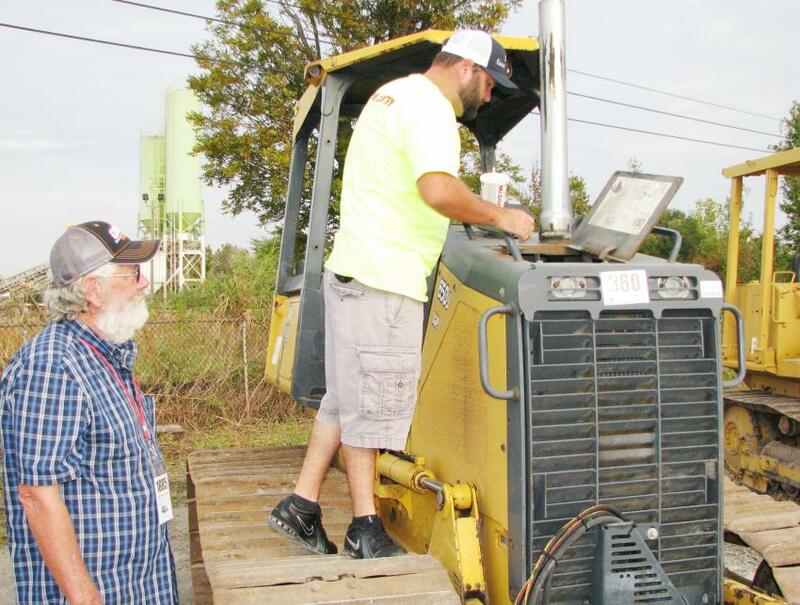 The sale featured a lineup of construction equipment, trucks, farm equipment, surplus construction products, and a slew of miscellaneous power-tool parts and accessories. Early morning inspections and discussions about a really nice line-up of compact and mini equipment. 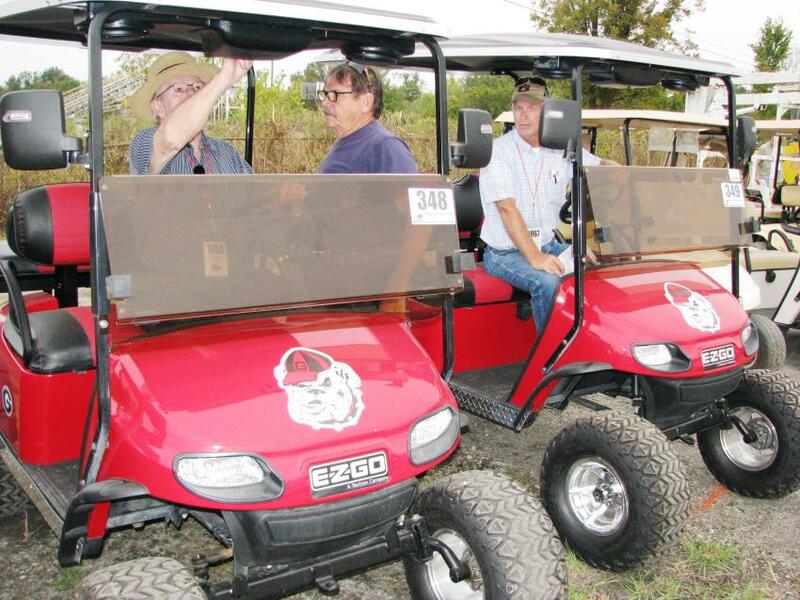 These red and black Georgia Bulldog golf carts were a big hit. However, one interested buyer said he’d have to pull the stickers off. 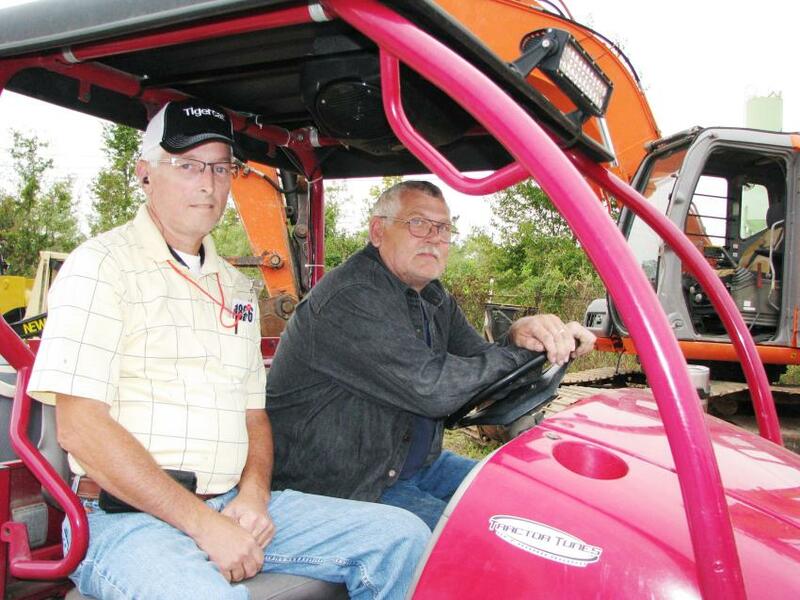 Inspecting a Deere 650J dozer in the sale lineup are Dennis Rockefeller (L) of Davis Hauling, Augusta, Ga., and Jeffrey Rockefeller of Beam’s Contracting, Beech Island, S.C. 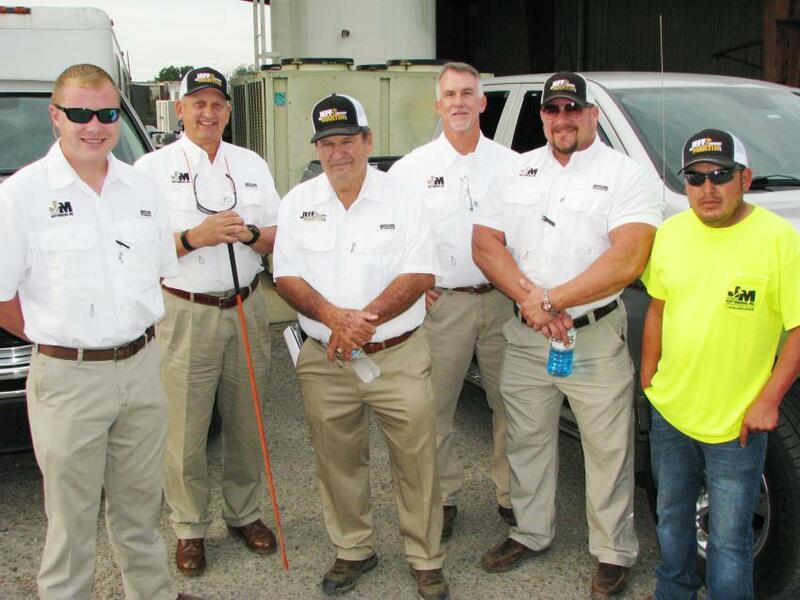 The Jeff Martin Auctioneers staffers ready to get this thing started (L-R) included Colin Thain, Rodney Lee, Paul Martin, David Meares, Tom Garner and Cesar Alcamtra. 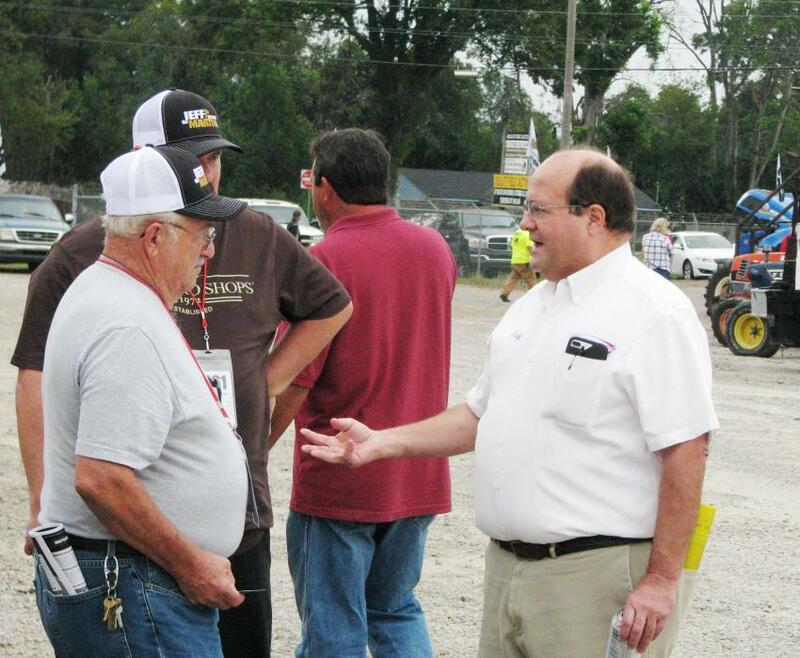 Michael Bussey (L) and R.W. 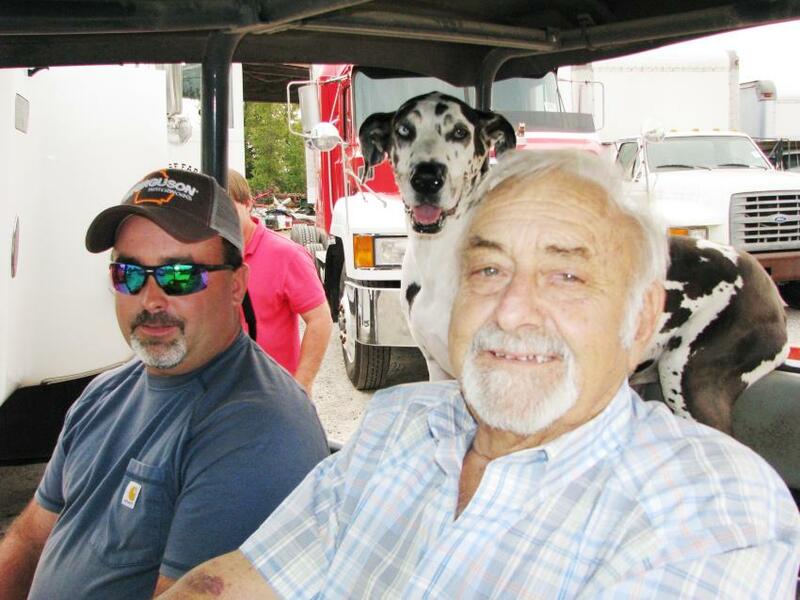 Bussey of Bussey Construction, Augusta, Ga., and their faithful sidekick, Bea Bussey, in the back seat, cruise the auction in their golf cart looking over the machines they have in this sale. 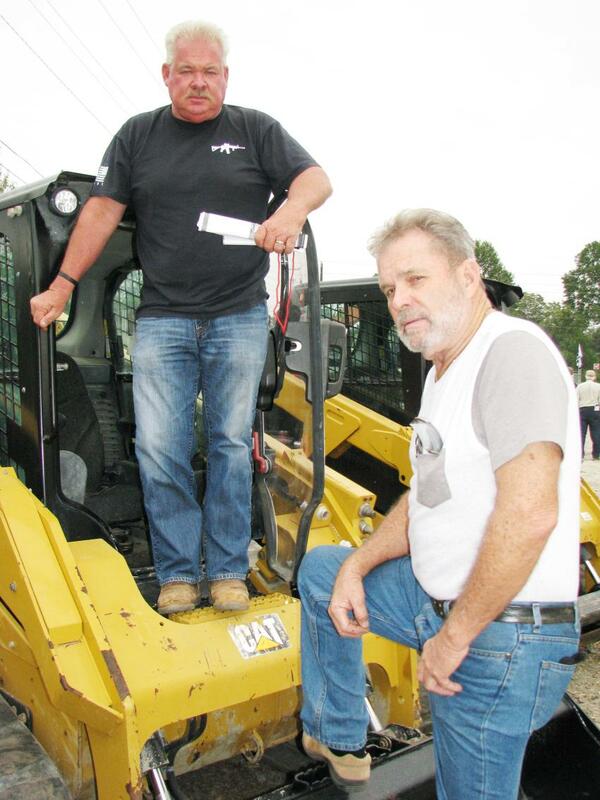 Wrapping up their inspection of a Cat compact track loader are Harold Brock (L) and Larry Helms of Brock Landscaping Contractors, Piedmont, S.C. 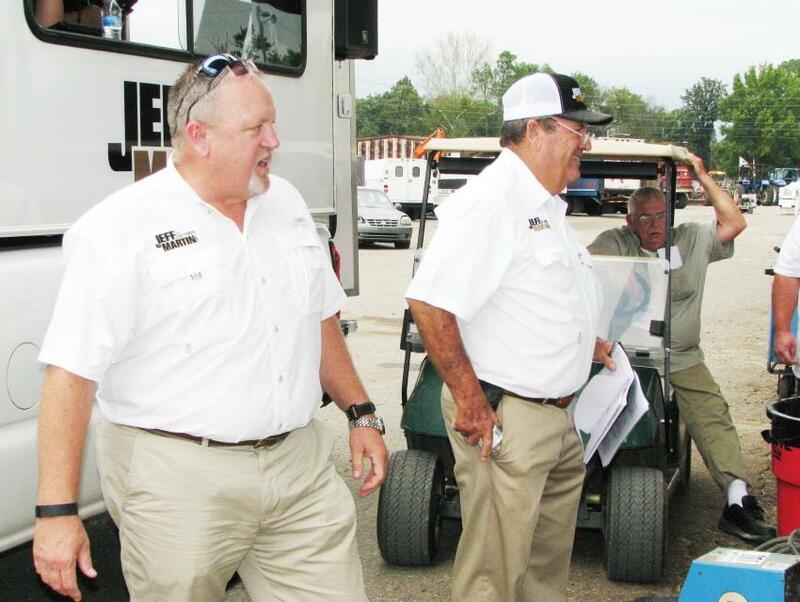 Watching the heavy machine auctioning action from the comfort of their golf cart are Greg Barwick (L) and Jesse Yawn of Barwick Construction & Forestry, Swainsboro, Ga.
Craig Norton (R) of Smart Business Credit, Hartsville, S.C., talks to registered bidders about his company’s auction equipment finance programs. 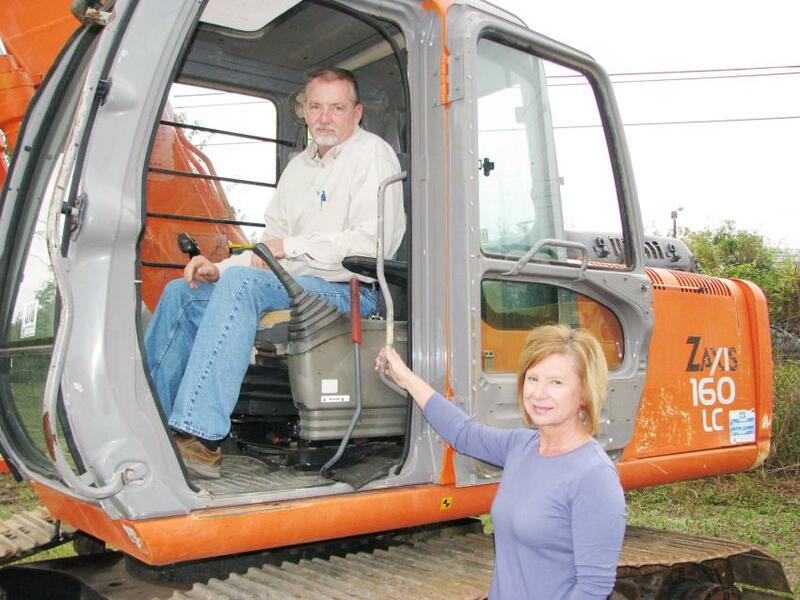 Rick and Stefanie Thain of Southern Quality Truck & Equipment, Lexington, S.C., spend their Saturday looking for equipment bargains in Augusta, Ga.
You can see in their expressions that Jeff Martin (L) and Paul Martin love the auction business.